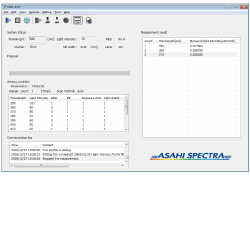 Optical Instruments | Asahi Spectra USA Inc. 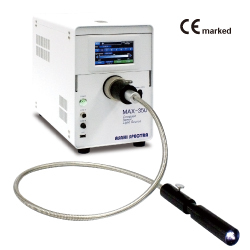 The MAX-350, 300W xenon light source, is the high-power illuminator with heat blocking design by the proprietary optical component, mirror module. 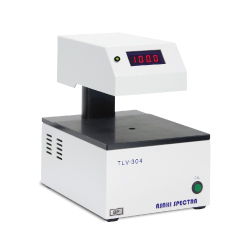 The MAX-350 has various useful functions such as mirror module, filter wheel, ND variable control, timer, shutter and remote control. 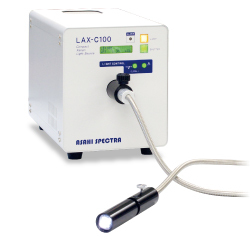 The LAX-C100 is the reasonable xenon light source with xenon 100W lamp. The proprietary mirror module blocks the heat and stray light, and only desired wavelength range is obtainable. The LAX-C100 can also emit monochromatic light through the bandpass filter. The monochromatic illuminator enables to control monochromatic wavelength from 250nm to 900nm. This system consists of the xenon light source and the shingle grating monochromator. 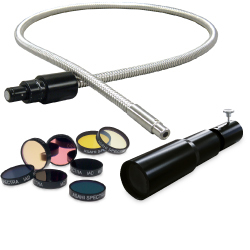 These accessories are for light sources and allow you to choose the wavelength, illuminated area and emitting method. 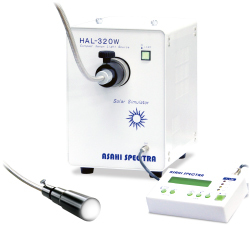 The HAL-320 is the standard solar simulator with xenon 300W lamp. Our unique fiber illumination system enables the illumination for any directions. 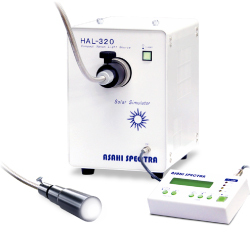 The HAL-320 achieves high approximation of solar spectrum with AM 1.5G. The design is compact and easy to carry. 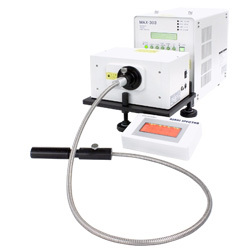 The HAL-320W is the solar simulator which can emit up to 1800nm with xenon 300W lamp. As well as other solar simulators, the unique fiber illumination system enables the illumination for any directions. The HAL-320W achieves high approximation of solar spectrum with AM 1.5G. The design is compact and easy to carry. 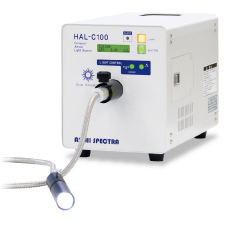 The HAL-C100 is the reasonable solar simulator with xenon 100W lamp. It is the entry model with compact body for the introduction of the photovoltaic research. Our unique fiber illumination system enables the illumination for any directions. 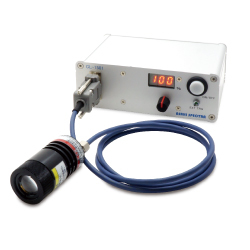 The CL-1501 is the high-power LED light source with various wavelengths. 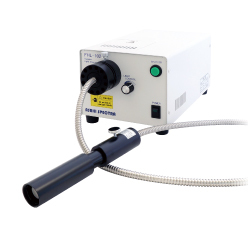 The FHL-102, 100W halogen light source, can emit from the visible to the infrared spectrum. The FHL-102 is fiber output and the shutter is equipped. 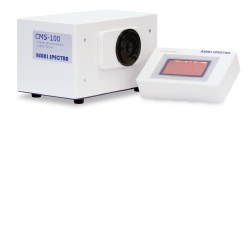 The CMS-100 is the bright single monochromator of the Czerny Turner design. It achieves low stray light and compact design. The slit width can be controlled automatically by controller. Quick measurement of transmittance close to the sensitivity of human eyes. Quick transmittance measurement of intended wavelength specified by a bandpass filter.